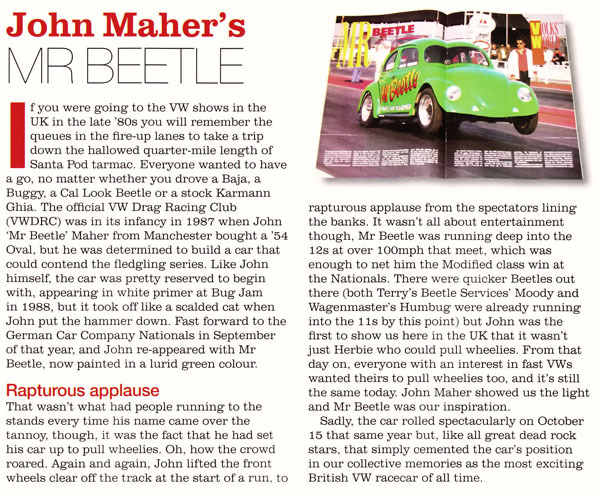 Volksworld recently published their 25th anniversary edition. 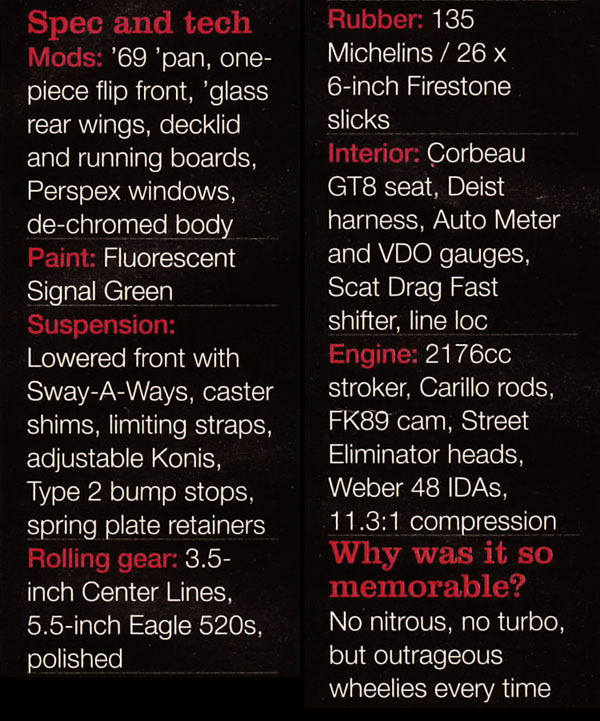 One of the features in the mag is entitled ‘Cars that shaped the scene’, in which they select one vehicle from each year the magazine has been in existence. 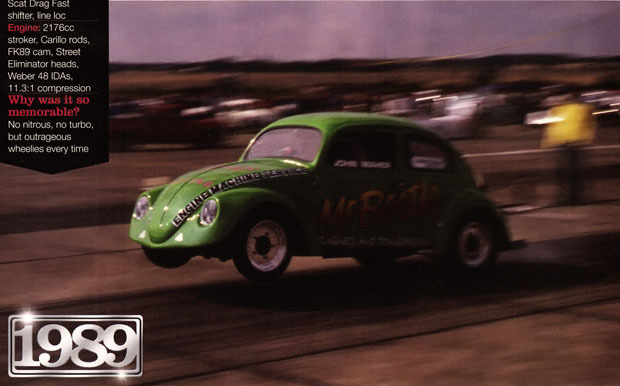 Representing 1989: my first VW race car, ‘Mr Beetle’.